The Ultra is the latest lightweight device from Fitbit, designed to track your activity throughout the day and provide you with all kinds of data about your health and fitness. The cute little gadget (available in plum or blue) comes with a docking station to transfer data to your computer, as well as a velcro strap so you can attach the device to your wrist to keep an eye on how you’re sleeping. Many have suggested its just an over-hyped pedometer, but with its sleek and durable tracking gadget and super intuitive online dashboard, the Fitbit Ultra is a great solution for those wanting to find out more about how much they exercise throughout the day, whether you’re taking a casual walk to work or embarking on a pretty extreme workout. A motion sensor inside the Fitbit Ultra tracks your steps, the floors that you’ve climbed and estimates the amount of calories you’ve burned up throughout the day too. If you’re willing to wear the Fitbit on a velcro wristband, it’ll also provide you with information about the way you’re sleeping as well. We put the Fitbit to the test for a week, sleeping with it (oo er), taking it to work strapped to our trousers and snapping it onto our running gear. We found that sometimes the data was a bit optimistic, telling us we walked a few more steps than we did (possibly counting bouncing around on the tube) and burned a few more calories than we possibly did. However, overall the data seems pretty accurate, especially in comparison to other tracking apps and gadgets we’ve trialled in the past. When we wrote up the long list of things we’d like to see in the ultimate health and fitness gadget, we decided we’d love a device that’s not only comfortable to wear, but doesn’t show up as a stupid bump under our clothes. Although fitness fanatics might be used to having tracking devices strapped to them a lot, the fact is, most normal consumers are going to be put off by something that isn’t comfortable or easy to wear. Out of all the health and fitness gadgets we’ve come across recently, the Fitbit Ultra is the smallest and easiest to clip onto ourselves. It’s kind of like a U shape, but fastens tightly to belts and clothing. I found it was best to have the Fitbit attached to my trousers, even though the website did suggest that you could wear it on your bra too if you’re female (or a male bra wearer…). This sounded kinda cool and presumably would provide you with the most accurate data, but in actual fact when I wore it there at first it did ping off while I was on the tube. Not cool. At the end of the day, it seems the Fitbit is all about finding what works best for you, but it is fairly small and discrete, so don’t worry too much about it being a pain. It’s really not. One of the main disadvantages of the Fibit in comparison to other fitness gadgets, is that you’ll need to take it off your clothes and attach it to your wrist if you want it to track your sleep, whereas other devices like Jawbone’s Up bracelet have all of that sorted. The device has a small OLED screen that allows you to simply flick through different kinds of data, like the step counter, distance covered, calories burned, steps you’ve climbed, a clock, a motivational message and a little flower that grows to inform you how far off you are from hitting your daily steps. You can sync data wirelessly to your computer, or use the docking station, which then allows you to store data on an online dashboard, which is pretty intuitive and easy to set up. You can then manually add a whole host of data, like food consumption and water intake, but obviously you have to fill that in yourself, the Fitbit unfortunately doesn’t read minds or watch you all day and take notes. So, to make the most of this you really have to be bothered to track a few things yourself and keep on top of it all as you add it in. Who’s the Fitbit Ultra for? In many ways, the Fitbit Ultra IS just a fancy pedometer. However, it does provide you with a whole host of data that’ll be really useful if you want to understand more about what you get up to on a daily basis as a way to kick start a healthy lifestyle. 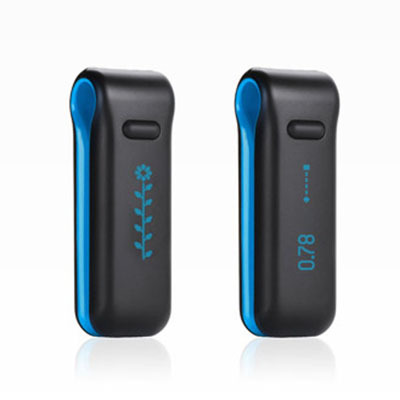 If you’re already health and fitness conscious you may want to shop around and take a look at the Fitbit’s key competitors (like the Nike+ Fuelband or the Jawbone Up bracelet), but if you’re just interested in an easy-to-use solution to track your activity the Fitbit has that covered if you’re willing to part with a few pennies. The Fitbit Ultra is available for £79.99.